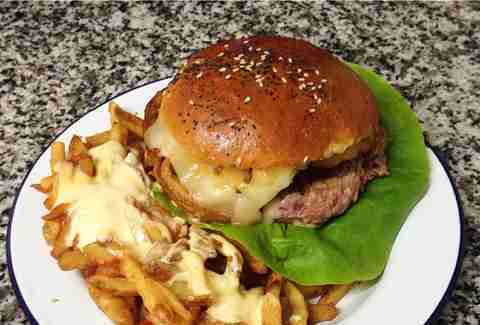 Born after the two head chefs took a trip to New York, Le B. sports a dozen burgers on the menu here, but in terms of the ultimate option, look no further than the B.CBG. This is a truly French burger, with both shredded magret de canard, foie gras, and confit onions, all wonderfully stacked in there. 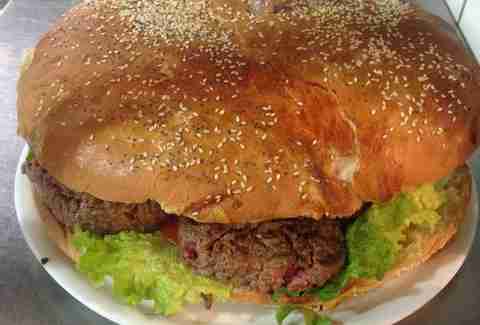 Lyon is home to many notable burger joints, but Bieh takes the win simply for the most ridiculous burger served: the World’s Biggest Burger. Made with an entire kilogram of meat and covered in cheese and bacon, it’s priced at 55€. But the good news is that if you eat it in under an hour, you’ll get it for free. Better start training. Inspired by New York-style diners, Kokomo Delicatessen opened only last fall, but it has already been making a name for itself. Everything here is a l’Americain with a bit of a Frenchie twist, like the Duck Rivers burger it recently featured, made with locally produced duck. There’s even a Fried Chicken burger on the menu, or the San Diego, which features fried onion rings between the buns. As you can see, there’s plenty to choose from. Go hungry. 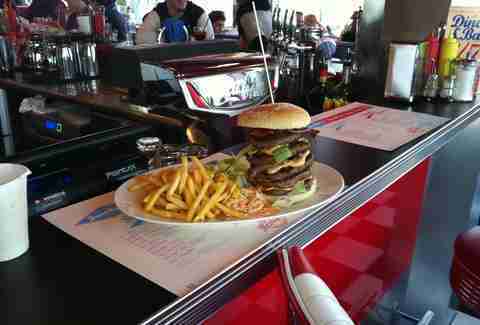 Much like other burger restaurants around France, Marseille’s Burger’s Banquet boasts an extensive list of options. 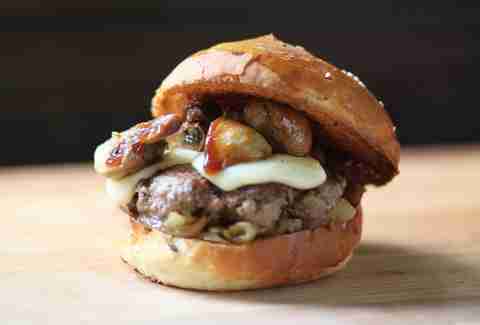 There’s the Frenchy Burger, which is oozing with Brie cheese, and the Goat Burger, covered in chevre and caramelized onions. Of course, if something a little less classy is up your alley, then there’s always the Sticky Finger: its version of the double bacon cheese. The thing about burgers in France is that they are always a little more upscale than your average American version and Le Cut is an excellent example. 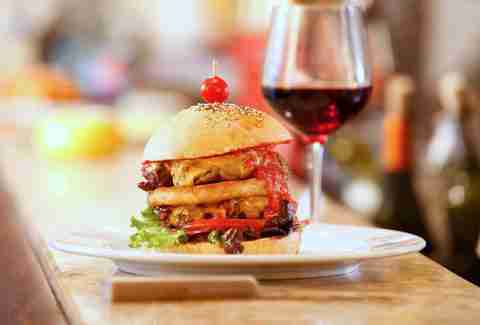 A restaurant that specializes in burgers and tartares, there are over 10 beefwiches on the menu. But the one that takes the cake just might be the Duck Rossini Burger, made with waterfowl, and then a cèpe and truffle cream on top for good measure. Highway To Hell or Personal Jesus, anyone? The amazingness of these burgers' names is only matched by the burgers themselves (if you want to make any of the burgers vegetarian, you order the Money For Nothing). And in true French style, the most epic, and delicious burger on the menu is the one with a lot raclette cheese, bacon, and potatoes, appropriately named Be Quick Or Be Dead. Franky’s is a throwback to the 1950s, complete with red vinyl chairs at the bar. It's got 11 burgers on the menu, but those who love an eating challenge know that there is only one worth getting: The Biggest Burger Ever. 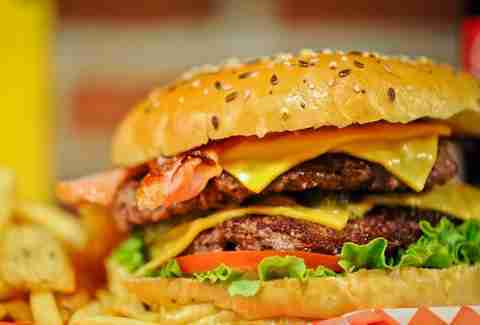 Complete with five patties, cheese, and bacon, you probably shouldn’t plan on eating for the rest of the day. 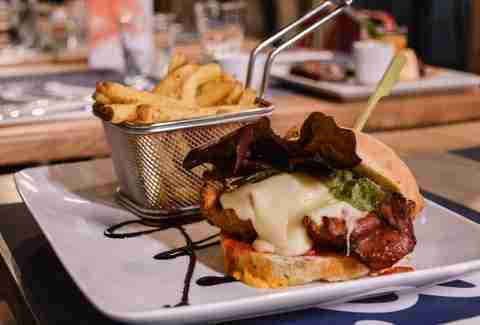 There's plenty to choose from at Burger et Blanquette; a favorite of the locals in Montpellier. Everything from the Bacon Cheese to the Dijonnais (with plenty of mustard of course), and yes, there’s a foie gras burger. 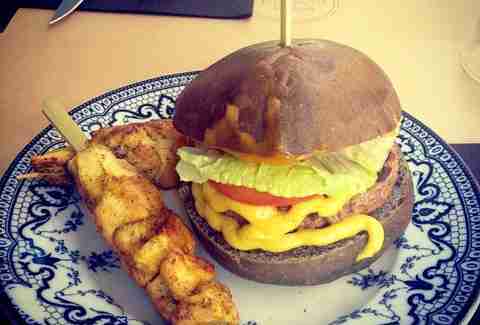 Because what self-respecting French burger establishment doesn’t put foie gras atop a patty? While burgers might seem like a new trend, Woody’s Diner has been there for nearly two decades. Opened in 1997, it was inspired by trips to California and has kept the surfboards nailed to the walls. There are Rocket Fries on the menu -- fries drenched in cheese and bacon -- as well as fried Camembert, and all the burgers can be made with one or two patties. 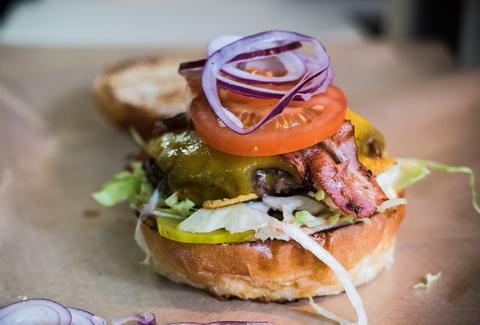 You’ll want to opt for Jack’s, made with bacon and melted Emmental. 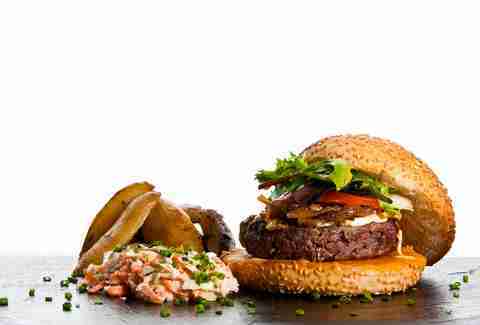 With four classic burgers and three signatures, the menu at Roadside is simple, but focused, and in keeping it that way, it's maintained a very high level of quality. The standout Rocky Mountain comes with bacon and bleu cheese, and you should add a second patty for only 2€ because, well, you can.